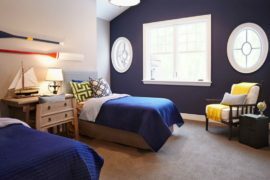 Living in a loft or a large old space of any kind means that you’re going to be dealing with plenty of big, blank spaces. They can seem intimidating at first, but ultimately they are a canvas for whatever is interesting to you. 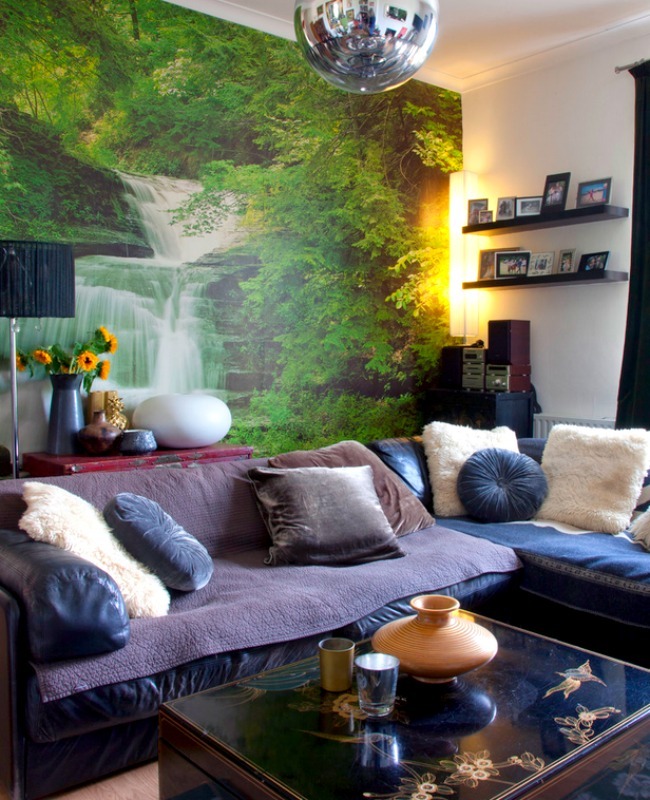 If you are into art, there’s nothing better than a large wall for displaying it; if light and space are more your thing, nothing beats a mirrored wall. 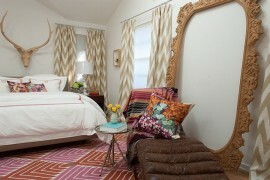 Of course, you can always make a super-statement with pattern, whether that be from wallpaper or a hand-painted design. 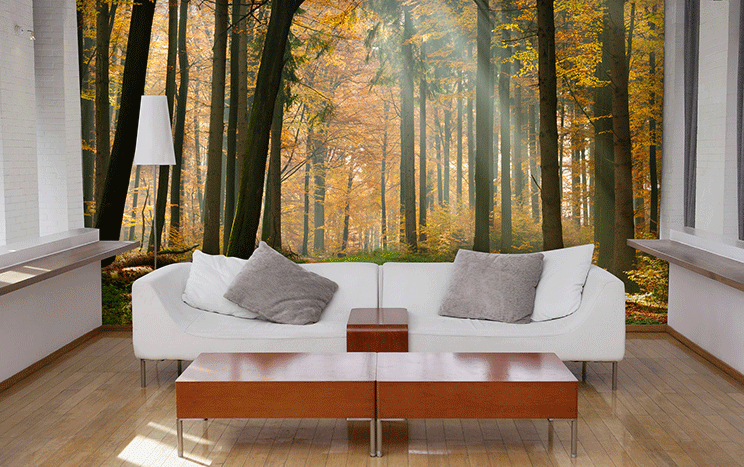 Whatever you choose, there are plenty of options to making a large blank wall come alive. 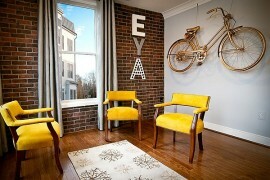 One way to solve the blank wall problem is to transform it into a giant mirror. 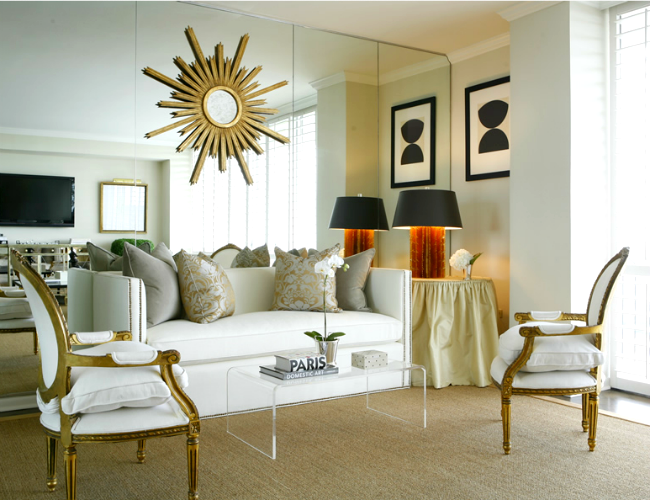 You will effectively double your space, at least visually, and since mirrors reflect light, you will find yourself in a brighter, lighter space too. A big blank wall equals a big blank canvas. 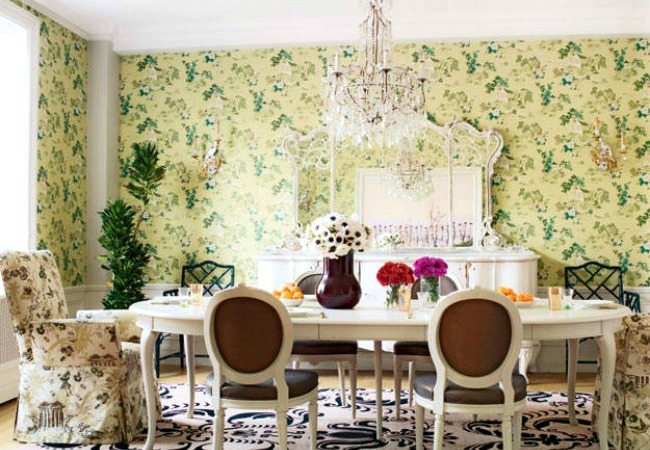 Which means a decorative painter (like Ted Somogyl here) can transform it into one giant pattern—something larger and more specifically oriented to the space than you might be able to achieve with wallpaper. 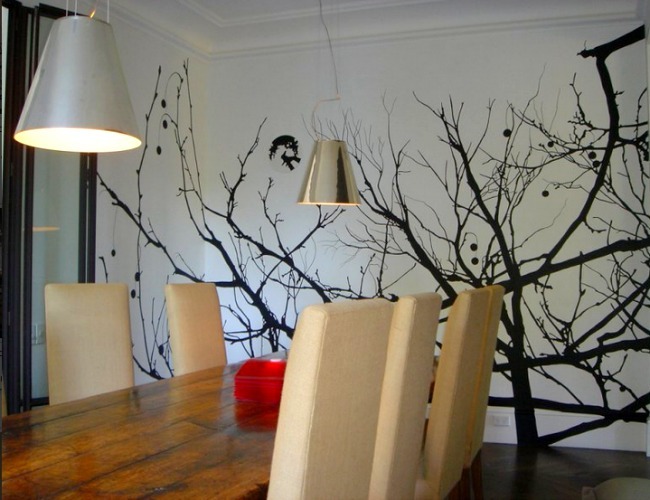 A pattern is one option, but another is more of a scene, like this treescape silhouette in Melbourne, Australia, also hand-painted. 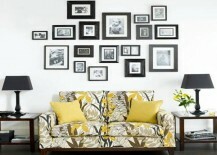 Rather than a pattern, why not try a giant photograph to fill a big empty wall? A nature scene brings the natural world indoors, or a giant night-time city scene could bring an urban feel to a rural space. 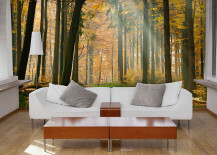 Also a forest, but in a totally different colorway, this take on a large photographic image makes a statement and sets a relaxed mood. There are so many different types of wallpapers available these days, from the conventional to the crazy. It has been—and continues to be—a great way to fill a large blank space. 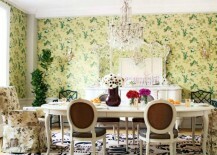 The damask pattern below is a traditional way to tackle the problem. 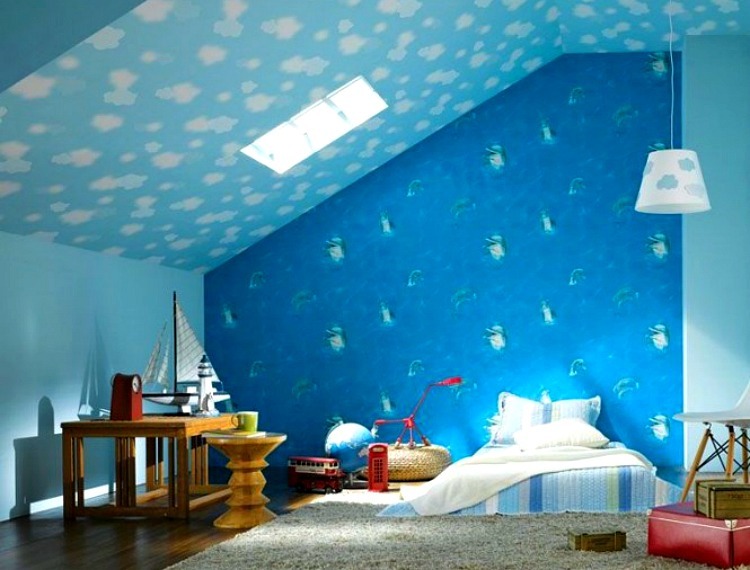 A kid’s room with a huge wall, which could be stark and unattractive, is turned into a dolphin-bobbing ocean scene with a painted blue sky above for extra effect. 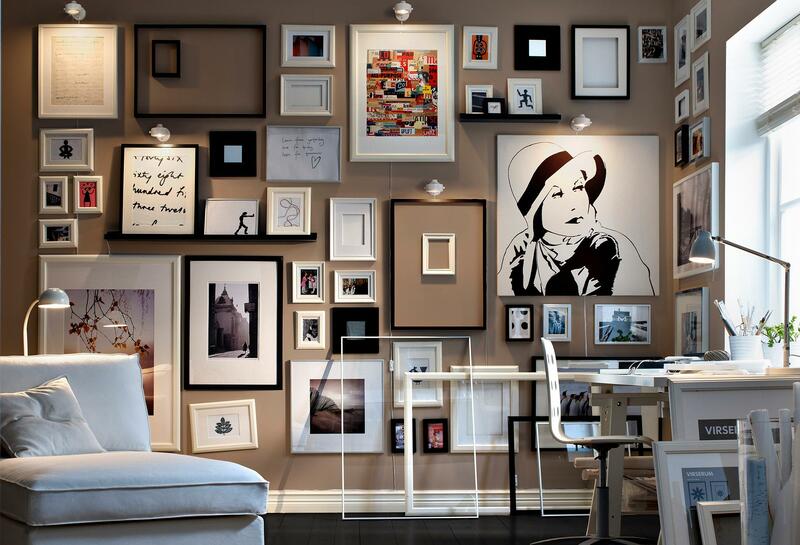 You can easily fill a wall with a collection—in this case, a monochrome (plus red) grouping of drawings and sketches. Filling a wall this way requires good lighting and time to collect the art, but its impact is undeniable—and very personal. 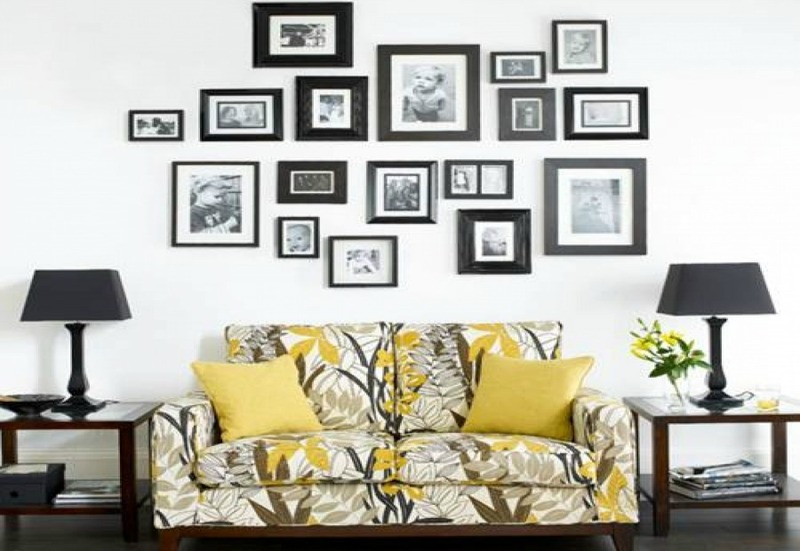 Black-and-white only is an easy way to go when it comes to wall art that makes a statement but doesn’t take over the space. 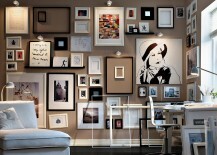 Using your own photography and a collection of similar-but-not-the-same frames will give your selections cohesiveness. 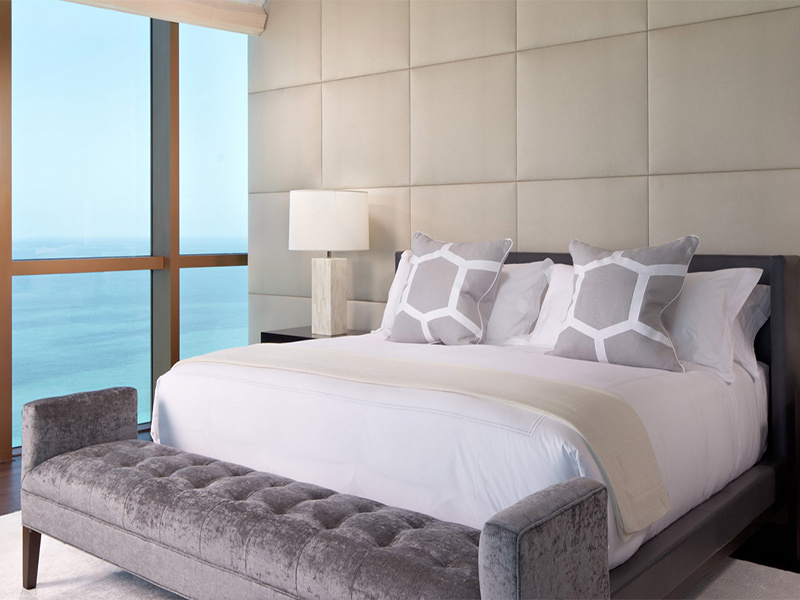 Especially for a bedroom, upholstery is a practical and beautiful way to dress up a blank wall (and, when done well as in the example below, also makes a headboard unnecessary). 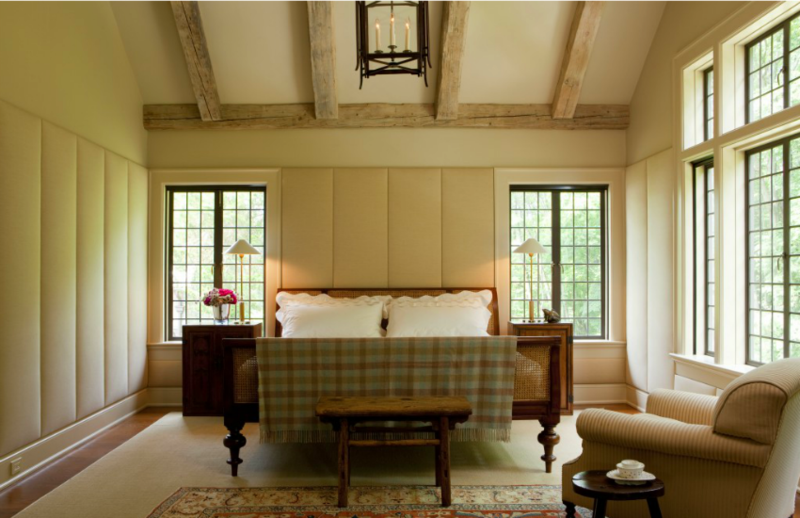 The lovely bedroom below is lined with linen upholstery. 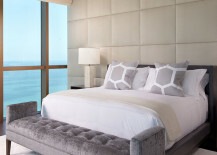 Upholstery lends gentle texture to a wall, and works with almost any style, from traditional (above) to modern (below).